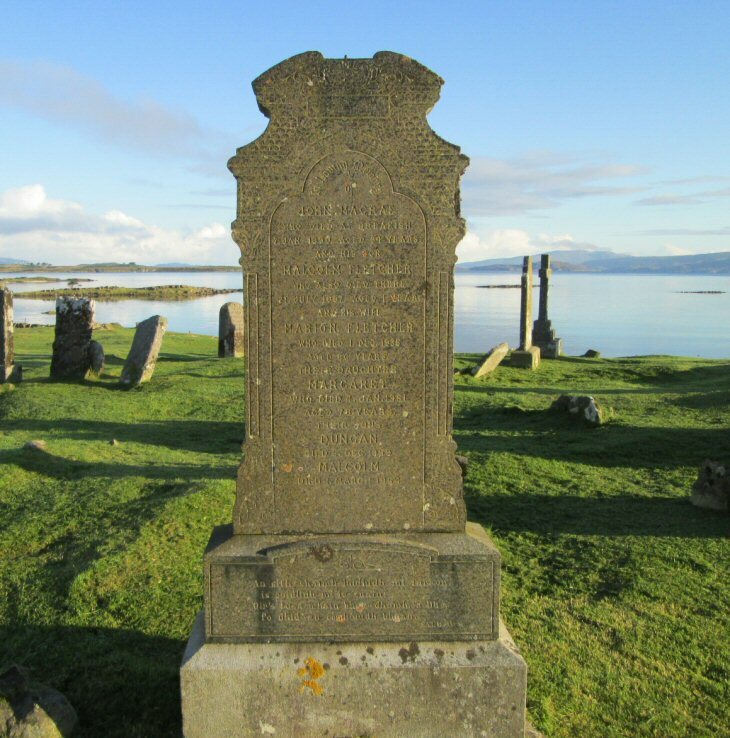 Skye Gravestones | John & Marion (Fletcher) Macrae & family. John & Marion (Fletcher) Macrae & family. In loving memory/of/JOHN MACRAE/who died at Breakish/7 Jan. 1890 aged 54 years/and his son/MALCOLM FLETCHER/who also died there/21 July 1887 aged 1 year/and his wife/MARION FLETCHER/who died 1 Dec. 1930/aged 86 years/their daughter/MARGARET/who died 4 Jan. 1951/aged 78 years/their sons/DUNCAN/died 5 Dec. 1959/MALCOLM/died 1 March 1964. An sith-shaimh lusdhidh mi paraon/'s caldlidh mile snain oir 's tusa mhain bheir dhomh a Dhé/fo dhìa e an comhnoidh bhuan. Salm IV.8.